With many years of experience, our company is not only a manufacturer of innovative high-quality products in the field of RF communications equipment, but also a service provider for solutions individually tailored to customer requirements. In order to guarantee the customer´s satisfaction when using our products, we pay special attention to quality assurance. Alpine has consistently developed innovative, top-quality car audio devices for vehicle manufacturers and the consumer market around the world to fully satisfy those who are eager to customize their car interiors with the latest, high-quality components and has established its position as a global brand of high-end car audio systems. 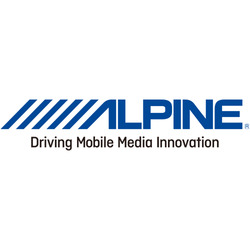 Alpine has also developed a diverse range of car AV products and navigation systems that provide exciting in-car audio/video experiences, as well as make driving more comfortable and safe. Founded in 1995, Controlar has been growing and developing its business in a sustainable manner and adapted to the needs of its customers. Controlar is a company dedicated to developing hardware and software for the industry with improved focus in the electronic components for automotive industry and a great know-how in industrial automation, system integration and development, functional and quality testing for electronic devices. DESY is one of the world's leading accelerator centres and a member of the Helmholtz Association. DESY develops, builds and operates large particle accelerators used to investigate the structure of matter. DESY offers a broad research spectrum of international standing focusing on three main areas: accelerator development, construction and operation; photon science; particle and astroparticle physics. RF360 develops, manufactures and markets electronic components like SAW components, ceramic components, capacitors and inductors and alike also modules and systems, focusing on fast-growing leading-edge technology markets, which include information and communications technology, automotive electronics, industrial electronics and consumer electronics. RF360 consistently stands with approximately 23,600 employees at over 20 design and production locations and a tightly meshed sales network as a global footprint. At ESOC will find the control center of the network of the ESTRACK ground stations. It consists of five large multi-purpose stations with 15m antennas in Kourou (French Guiana), Perth (Australia), Redu (Belgium), Maspalomas and Villafranca in Spain and a polar station in Kiruna (Sweden). The Max Planck Institute of Quantum Optics trusts on its own scientific experiments in the products of Becker Nachrichtentechnik. The history of the institute began in 1976, and today, one of focus is the high-precision spectroscopy of hydrogen. In the course of these measurements Prof. Theodor W. Hänsch developed the frequency comb technique for which he was awarded the Nobel Prize for Physics in 2005. The MCD Elektronik GmbH has been manufacturing measurement and test systems for its customers, generally OEMs in the automotive sector, but also representatives from mechanical and plant engineering, medical, military and security technology, quality engineering, sensor and aircraft. 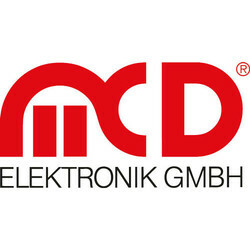 MCD Elektronik GmbH was founded in 1983 and today employs 80 people. The company currently operates in Germany, Hungary and China and delivers to more than 38 countries worldwide. To compete in global competition despite price pressure and still be able to produce economically is due to the fact that the company has a zero tolerance for negative consequences on quality assurance. NOFFZ delivers solutions for RF-Testing in the area of the Internet of Things (IoT) - especially in automotive test applications around eCall, Network Access Devices (NADs), Telematics Control Units (TCUs) and Infotainment/Multimedia Units. Based on the Universal Tester Platform (UTP), NOFFZ delivers customer-specific test systems worldwide for the entire product creation process. Application areas range from simulators and hardware-in-the-loop (HIL) in development via validation with continuous operation and run-in test stands to manufacturing with ICT, FCT as well as vision, haptic and screening systems – both offline and inline. In Braunschweig and Berlin, time comes from atomic clocks, lengths are measured far into the nano-world, scientists do research on fundamental questions concerning the physical units, and the employees in the laboratories calibrate measuring instruments, meeting the most demanding requirements. Therefore, the Physikalisch-Technische Bundesanstalt is among the top names in metrology worldwide. 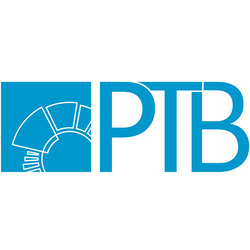 As Germany's national metrology institute, PTB is Germany's highest authority when it comes to correct and reliable measurements. Rohde & Schwarz is one of the world's leading manufactures of test & measurement, communications and broadcasting equipment. Founded more than 75 years ago, the company has now representations in more than 70 countries. The company is headquartered in Munich, Germany.